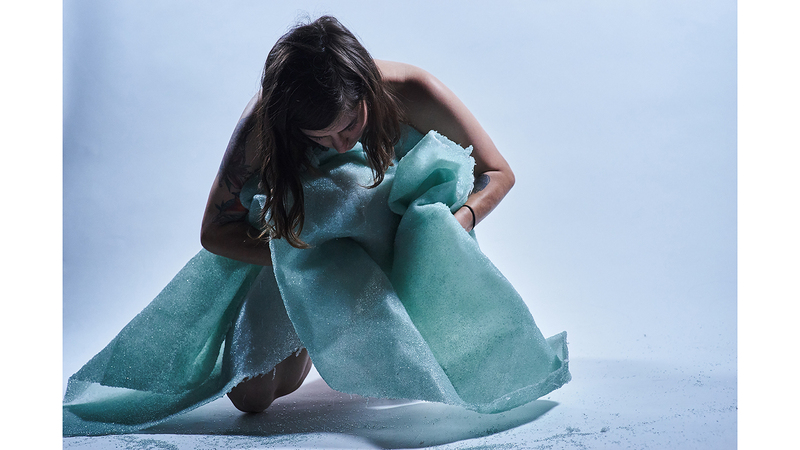 Develop your personal creative voice through intensive research, discussion, critique, and experimentation in glass. In the glass master’s degree you are given full access to a complete glass facility and individual studio space. 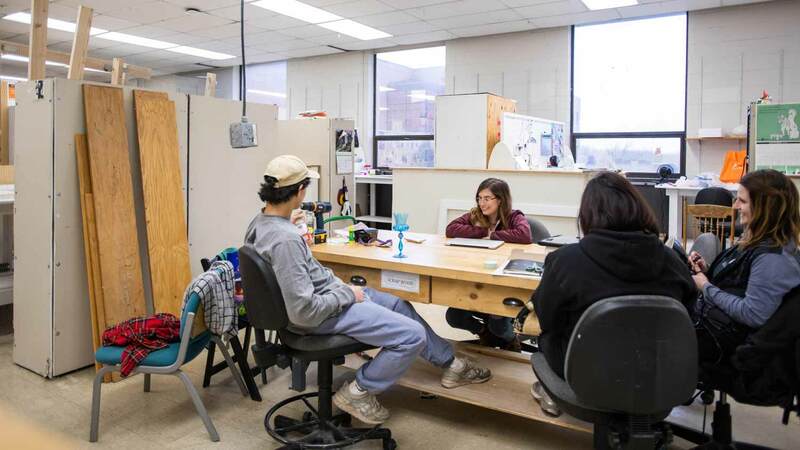 Graduate studio courses, seminar courses, and in-depth critiques give you a deeper understanding of the craft as you design pieces that flourish your personal expression. 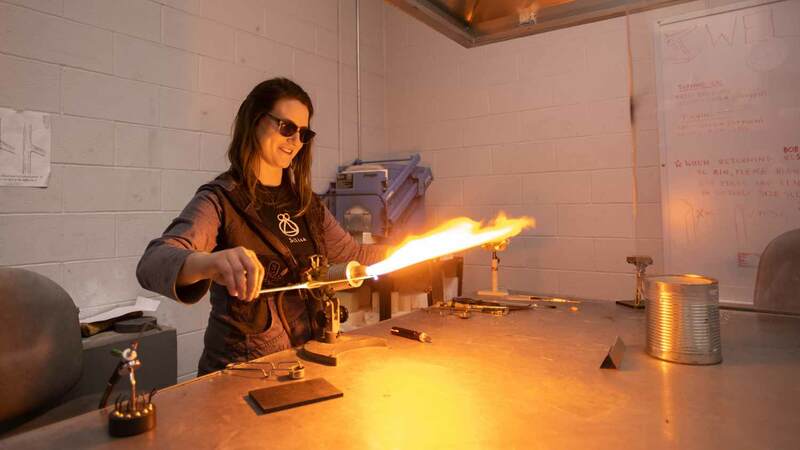 The MFA in glass is a two-year program of study. An individual studio space serves to strengthen your technique and practice in designing pieces that reflect your personal expression of the medium. 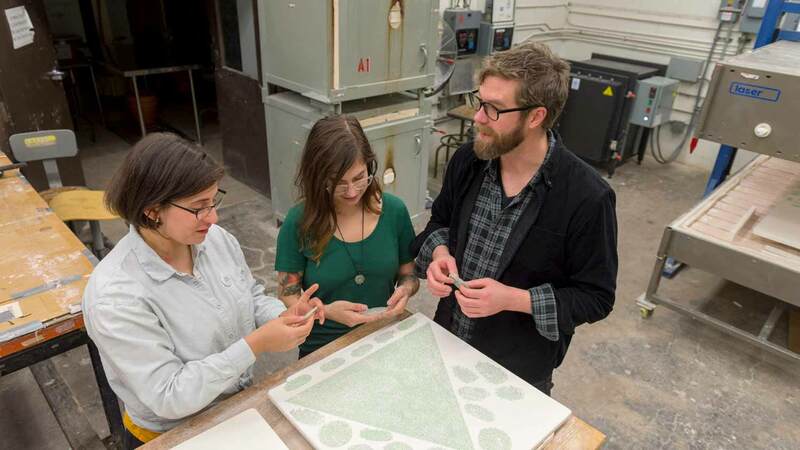 Graduate studio courses, seminar courses, and in-depth critiques are offered in conjunction with thesis planning and implementation to provide you with a deep understanding of glass. In addition to course work and creative production, you are exposed to a broad range of critical issues related to the conception and production of art, to inspire and provoke critical reflection and facilitate the development of a thesis exhibition and supporting documentation.